To live fully may be our greatest goal. But like the moon, our lives are comprised of phases––dark and light, new and full. There’s nothing new to this rhythm. It’s an old song we’ve been singing many moons––day and night. Generations ago, Mary Harvey Breslin, of Donegal, Ireland, was known as the town’s healer. She walked within the bogs, into the woods, along the streams and by the sea where she found the gift of healing by harnessing what was seen to her as a gift of nature. And that gift she bestowed to her daughter Mary Ellen McGroarty otherwise known as Nannie Mac. Through an oral tradition and many years of walking alongside Nannie Mac while gathering plants, Jenn Vanderfleet, her granddaughter, decided to dedicate herself to continuing the family tradition of using plants for wellness and named it Third Generation Herbal. Her practice reflects an adaptation and the evolution of a bloodline where Nature shares her secrets. 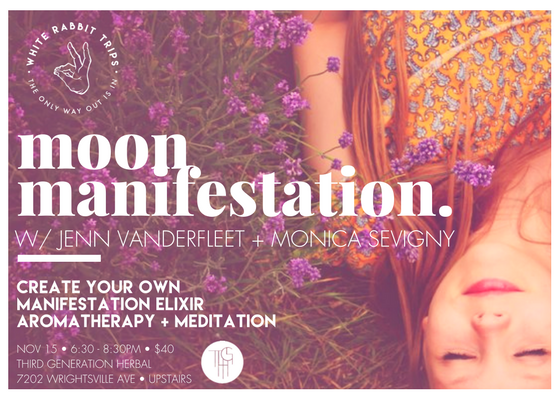 During WHITE RABBIT TRIPS’ Moon Manifestation, we’ll begin with a 20-minute meditation guided by Monica Sevigny to tune in to the darker side of the moon and to the fullness and light we can grow with it to connect to a higher vibration. The only way out is in. 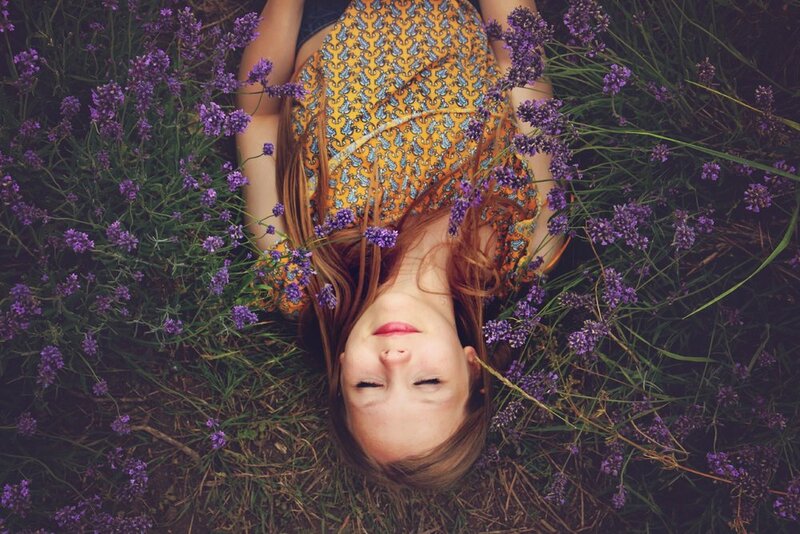 Following our moon meditation, Jenn will let us in on some of her great-grandmother’s secrets. She’ll teach us about how we can use plants for wellness while guiding us in creating a take-home trial-sized vial of our own manifestation elixir using one hand-selected traditional spiritual essential oil found in ancient text and tradition as our key ingredient. Together we’ll begin the tradition of harnessing the energies and aromas that are already in our presence to live up to our fullest potential. No prior meditation or aroma experience necessary. Space is limited. Please register in advance online. Third Generation Herbal is located upstairs in the blue building beside Ceviche’s Restaurant + Bar.